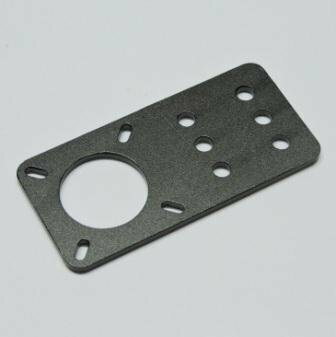 This is the Motor Mount Plate. It can be used with both V-Slot and Makerslide. This plate is used to mount a Nema 17 or Nema 14 Stepper Motor to the extrusions any where.